When we want to extend a wireless network beyond the range of current wireless network, we should use another device called Wireless Range Expander. Range Expander extends the WiFi network range as its name mentions and to increase the range and accessibility of a WiFi network from an access point or wireless router we need to add Range Expander (WiFi Repeater). Wireless Repeater/Expander is working by receiving signals from Access Point (Wireless Router) and repeat the same signal. Linksys is one of the reputed Range Extender manufacturers. Two well-known models WRE54G and RE1000 are from Linksys family. This tutorial is an update of one of my old guide to install and configure Linksys WRE54G on a network. Now in this new update, we have included steps to setup Linksys Wireless N Range Extender/Bridge RE1000. Type 192.168.1.240 on the browser address bar and press enter. Leave the Username field blank, and type “admin” in the Password field, then click OK. Enter the SSID and wireless channel of the parent network. If the parent network has WiFi encryption enabled, you have to enter the same details here. 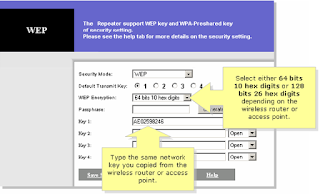 To configure WEP on Linksys Range Expander RE1000, click "Edit security settings" and select security mode WEP and enter the same settings on the parent Wireless router. 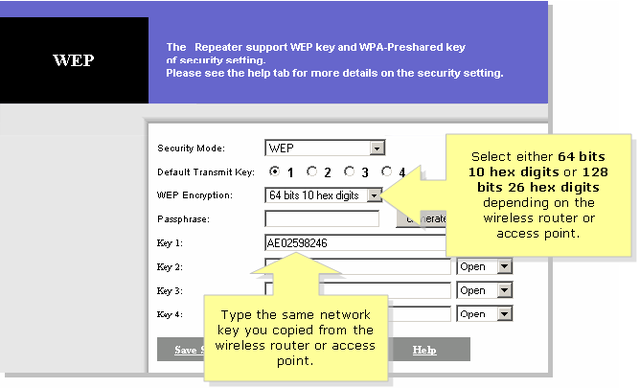 To setup WPA encryption on Linksys Wireless N Range Extender RE1000, select the security mode WPA Pre-Shared Key and enter the same details on the parent router. Power off RE1000 for one minute after configuration. After 60 seconds power on the device. Connect Range Expander to your computer using Ethernet cable. The default IP address of Linksys Wireless Range expander is 192.168.1.240. After this, press enter. There is no default username for WRE54G and log on to the Range Expander setup page. 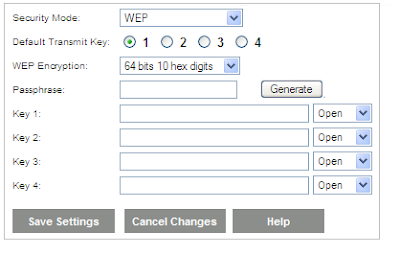 Click on Basis setup under setup page and type the SSID (Wireless network name) of the network you want to repeat using WRE54G. Select encryption and enter the security key as configured in the parent wireless network. If the Wireless network is security enabled we need to set the same settings on our Range Expander. After entering the details click on save settings button. Since the completion of my previous tutorial, I received many queries asking the need of assigning a static IP address on the computer before configuring Range Expander. 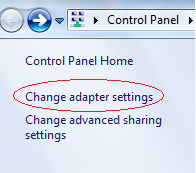 The reason is very simple Range Expander does not have a DHCP server. It cannot provide an IP address to the computer. To log in to the web-based setup page of the device we need to assign a static IP address to the computer in the same IP address range. 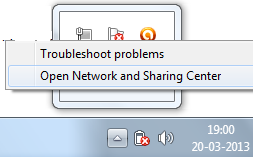 While configuring a router, we do not face this issue. To learn more about it follow the link below. In case if you want to reset Linksys Range expander, you can follow the steps mentioned in the link below. I must be missing something, but in step 1 you say to connect it using an ethernet cable, but the WRE54G doesn't have an ethernet port on the device. At least mine doesn't. It seems you have WRE54Gv1 (Wireless Range Expander ). This version of linksys range expander does not have any ethernet port. So the only option to configure it is by the auto config button. was unclear about ssid should be a new one or the same. What about wpa tkip and wpa2 tkip ??? Thanks Ibrahim for your comment. ihave a WRE54g v3, bur cannot find it home screen, whether cables or wifi please can someboby help! I hope by home you mentioned the web based setup page of WRE54G Linksys Range expander. The default login IP of Linksys Range Expander is 192.168.1.240 but you might had changed the Range Expander IP address during the configuration. If that is the case you can do either one of the following solutions. How to setup Linksys Range Extender ? Is that same like setting Linksys Range Expander ? Linksys Range Extender is same as Linksys Range Expander. 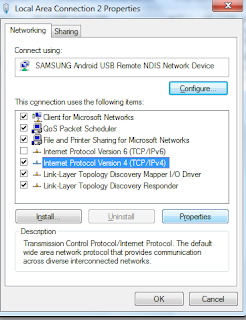 You can follow the same steps to setup Linksys Range Extender. I want to install RE1000 Linksys Range Expander with my Comcast Cable internet. What steps I should do to install range expander with Comcast modem ? What is the default password and username of WRE54G and RE1000 ? You can follow the same guide to configure Linksys Range Expander. BTW is your Comcast modem offers wireless connection ? there is no username for Linksys RE. admin is the default password.